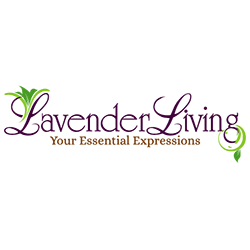 Lavender Living is your source for essential oils near Atlanta. 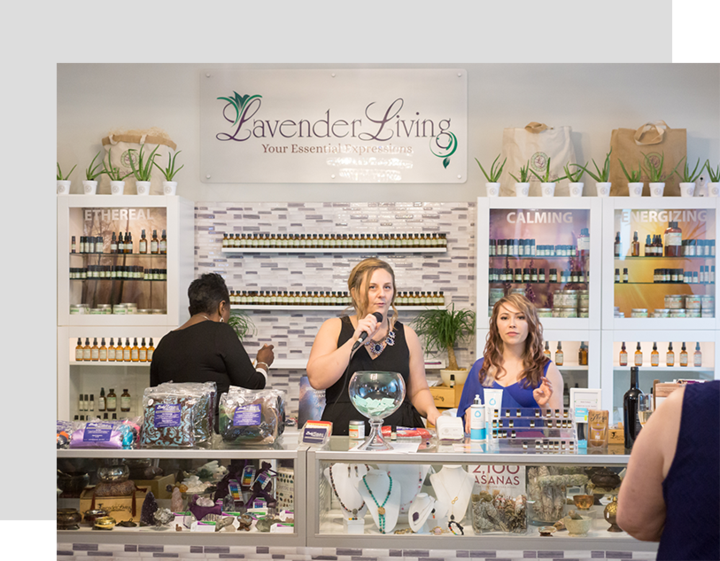 Located in Marietta, our store offers 6 signature lines that harness the powers of essential oils for therapeutic use. 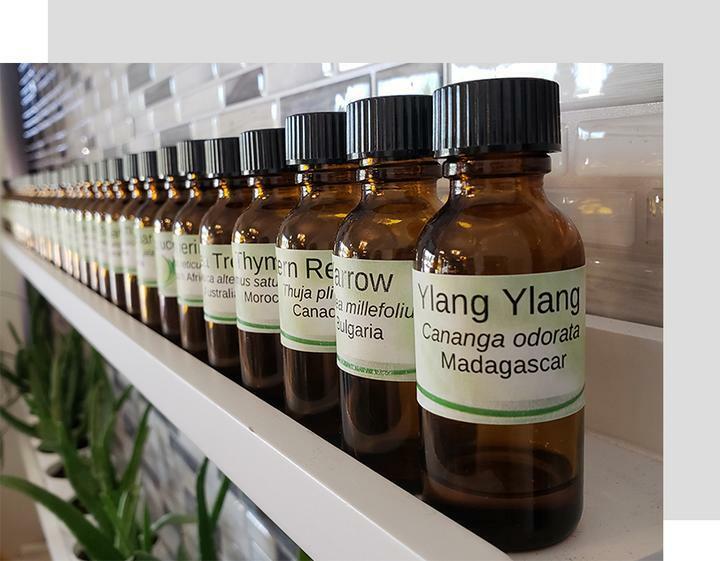 We&apos;ve created each of these blends from an aromatherapy point of view and have carefully crafted them. We are continuously seeking out ingredients with the purest qualities to enhance our holistic body and home products. In addition to selling essential oils and aromatherapy products both online and in-store, we also offer essential oil gift crates to use for party favors, custom blending, and are happy to host essential oil parties for bridal showers, baby showers, birthdays, and more! Visit us at our local boutique for aromatherapy in Marietta. 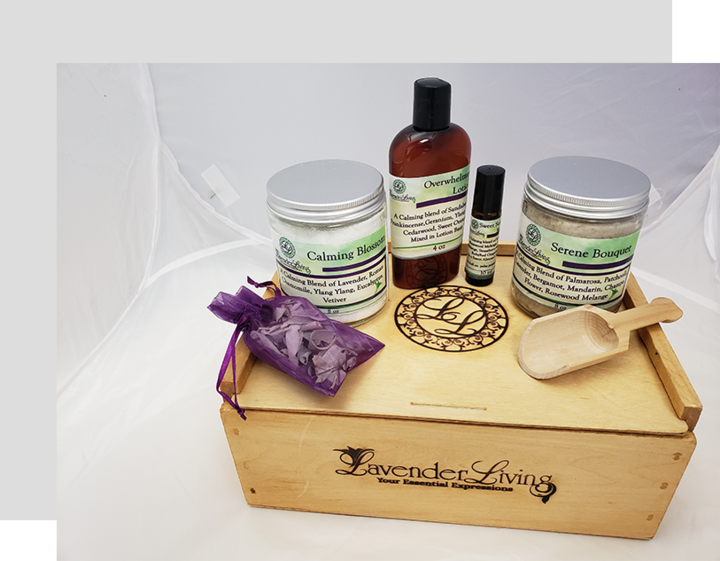 We also have a whole line of holistic body and home products in Marietta. Visit us today! Essential Oils, Aromatherapy Gift Boxes, Custom Essential Oil Blends, Essential Oil Roll-Ons, Sniffy Sticks, Diffuser Necklaces, Sugar Scrubs, Essential Oil Loofas, Essential Oil Sprays, Essential Oil Bath Salts, Diffuser-Ready Blends, And More!